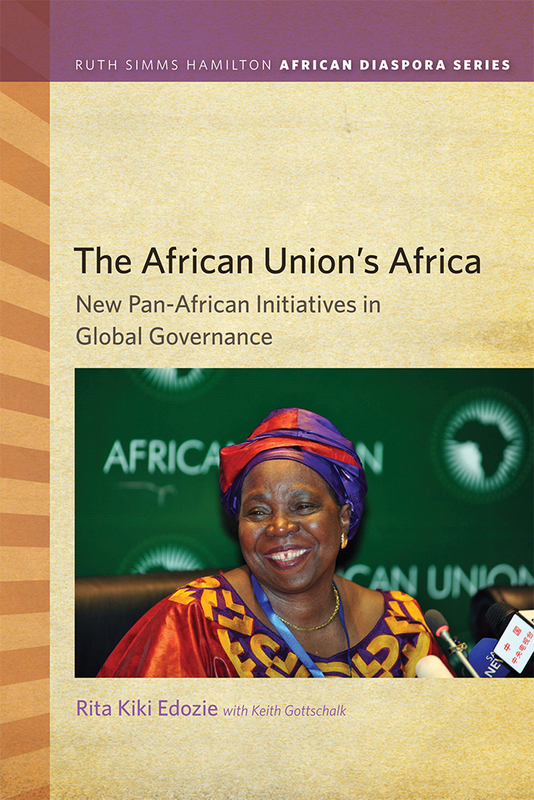 The African Union’s Africa: New Pan-African Initiatives in Global Governance examines the initiatives of the Pan-African global governance institution the African Union (AU) as the organization and its precursor commemorate their Jubilee as international actors. Taking a unique approach, the book seeks to explain the AU through a theoretical framework referred to as “the African Union phenomenon,” capturing the international organization’s efforts to transform the national politics of Africa as well as to globalize the practice of African politics. The authors examine Africa’s self-determined international norms and values such as Pan-Africanism, African Solutions to African Problems, Hybrid Democracy, Pax Africana, and the African Economic Community to demonstrate that Africa—the world’s least developed region—is composed of crucial values, institutions, agents, actors, and forces that are, through the AU, contributing to the advancement of contemporary global development. The book reveals how in the areas of cultural identity, democracy, security, and economic development Africans are infusing new politics, economics, and cultures into globalization representing the collective will and imprint of African agency, decisions, ideas, identities, practices, and contexts. Via a Pan-African vision, the AU is having both regional and global impact, generating exciting possibilities and complicated challenges. RITA KIKI EDOZIE is Professor of African Affairs in the Department of Conflict Resolution, Human Security, and Global Governance and Associate Dean at the McCormack Graduate School of Policy and Global Studies at the University of Massachusetts Boston. Keith Gottschalk was a Fulbright fellow at Oakland University and is the former head of the Department of Political Studies at the University of the Western Cape, Cape Town, South Africa. "This is a dream book for the ardent Pan-Africanist who is yearning for a theoretically informed exploration of the African Union and a must read for scholars and students looking for an interdisciplinary study of the premier and certainly the most important international organization in Africa in the first decade of the twenty-first century." "This book offers a comprehensive, informative and refreshingly optimistic assessment. Steeped in the pan-Africanist tradition, and focused on ideas and ideals, the authors argue that the AU is reinventing pan-Africanism and in the process carving out a prominent place on the world stage for itself and for Africans. It is a message that should engage a wide audience."